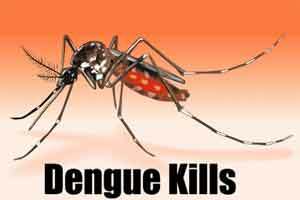 New Delhi: Over 18,700 cases of dengue have been reported in the country this year, with the Health Ministry attributing early onset of monsoon as one of the factors for spurt in cases ahead of the vector-borne disease season. The maximum number of cases have been reported in Kerala with 9,104 followed by Tamil Nadu with 4,174 till July 2. Union Health Minister J P Nadda held a review meet on preparedness for vector-borne diseases here, which was attended by Health Secretary C K Mishra, Director General of ICMR Soumya Swaminathan, senior officials of the National Vector Borne Disease Control Programme (NVBDCP) and other institutions. “We held two reviews, one for Delhi and the other for rest of the states and UTs. And, I can say that we are satisfied with our preparedness. We have already held three video-conferences on this matter and issued 13 advisories. The Secretary (Health) will soon hold video conferences with other states,” Nadda told reporters after the meet. Secretary Mishra said Kerala is battling a multiple onslaught of dengue, malaria and other such diseases due to early arrival of monsoon. “We had already sent a team there and it has come back after assessing the situation. But, no request has come from Kerala side on this matter. The state has a robust health mechanism though,” he said. Mishra added that many of these reported cases include suspected ones too, so the final confirmed cases tally would only come by the year end, after the season ends. According to to the figures provided by the ministry, Karnataka has reported 1,945 cases, Gujarat 616, Andhra Pradesh 606 and West Bengal 469, among other states, till July 2. The number of dengue cases recorded in Delhi has touched nearly 100, with 44 of the infection cases diagnosed here being traced to other states. As many as 10,952 chikungunya cases have also been reported in the country till July 2. Karnataka has recorded highest number of cases with 4047.